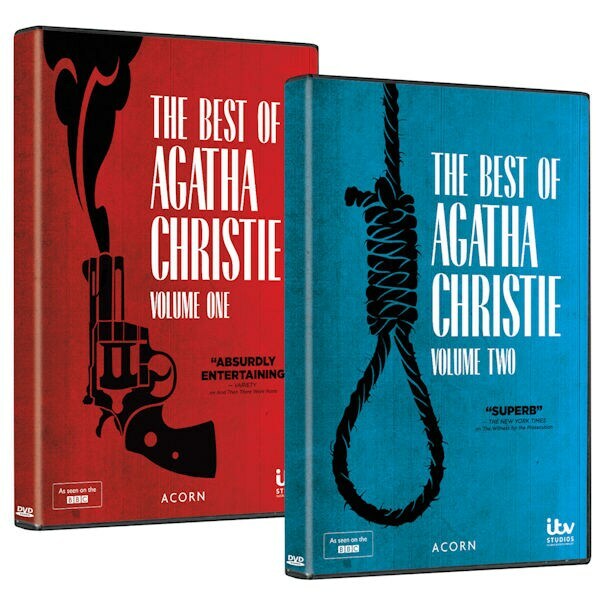 Made for British television, these splendid adaptations of the Queen of Crime's best works feature stellar casts and lavish period detail. Volume One includes And Then There Were None (Charles Dance, Aidan Turner, Sam Neill, Miranda Richardson), Five Little Pigs (David Suchet, Richard Stirling, Toby Stephens, Aidan Gillen), and Death on the Nile (David Suchet, Emily Blunt, JJ Field, Judy Parfitt). Volume Two gathers three Poirot mysteries, all starring David Suchet. Includes The Witness for the Prosecution (Kim Cattrall, Toby Jones), Three Act Tragedy (Martin Shaw), and Hallowe'en Party (Zoë Wanamaker, Timothy West). Each volume is over 5 hours, 2 DVDs, SDH.